It should be said, that if you know already that you would like a newborn photography session, book it early. I always recommend booking your newborn session during your pregnancy as it is not uncommon for photographers to book out months in advance. That being said, if your little one is already here it is always worth checking with your photographer. 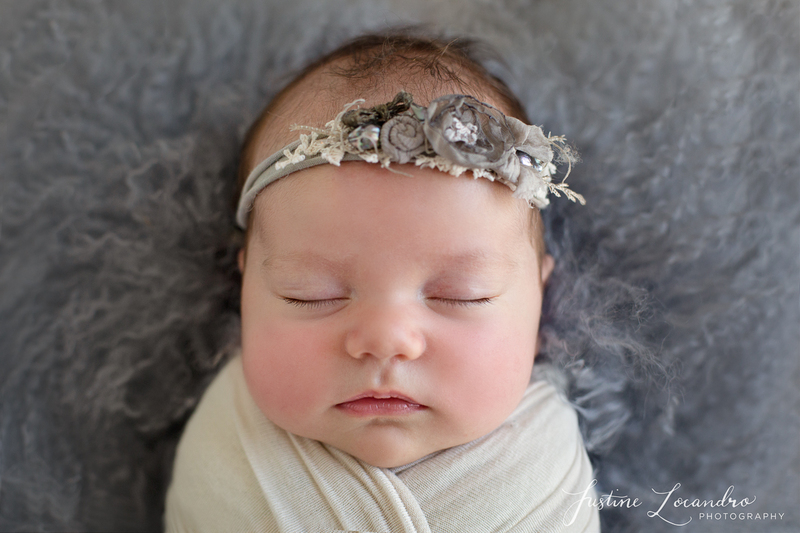 If your photographer is happy to do older newborn sessions, and they have availability, it is not too late to get beautiful keepsake images of your child! 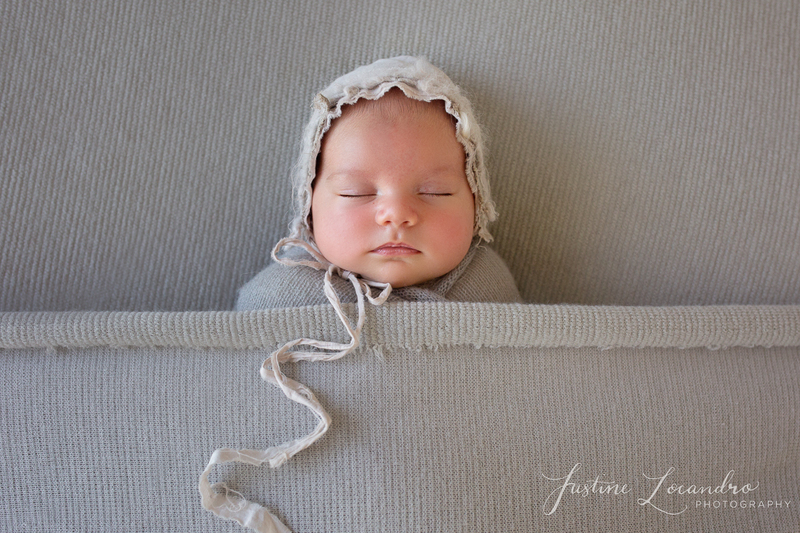 Ideally, most newborn photography sessions take place within the first 5-12 days of age. This is because newborns at this age are still super sleepy, don’t startle as easily and love curling up into those typical newborn poses. 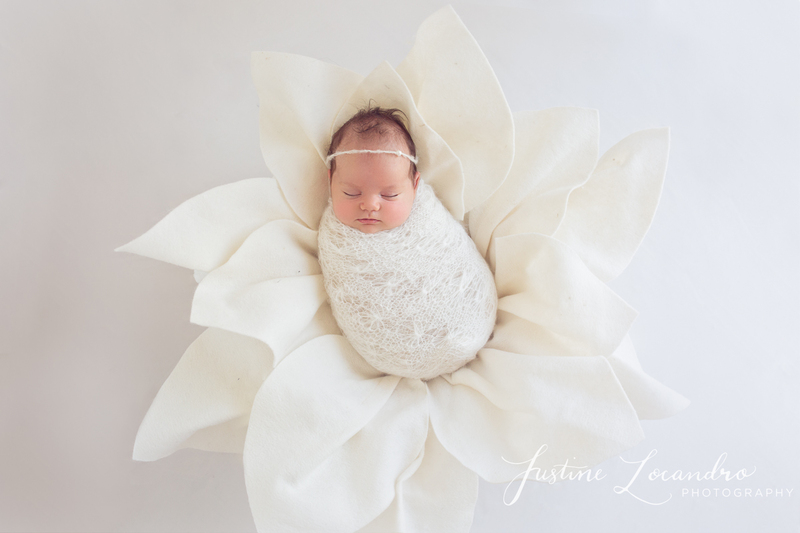 However, there can be many factors that result in you booking an older newborn session. These might be an extended stay in hospital, premature arrival of your baby or simply a last minute decision! I happily photograph older newborn sessions, with some of my clients coming in with babies anywhere from three to six weeks of age. 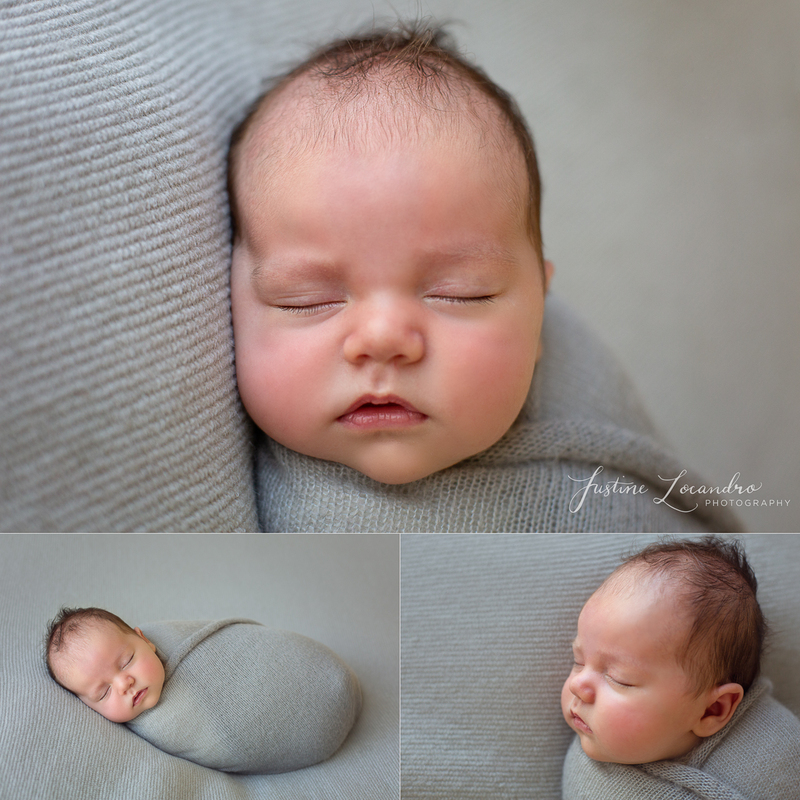 Sometimes, those curly, naked newborn poses aren’t always achievable, but with variations to setups, positioning and wrapping, a collection of beautiful images of your baby can be captured. The gallery of images below is a small selection from the stunning Charlotte’s session. Charlotte was 6 weeks old, full of wide eyed baby smiles but happily slept away once wrapped. The perfect little model for her session! 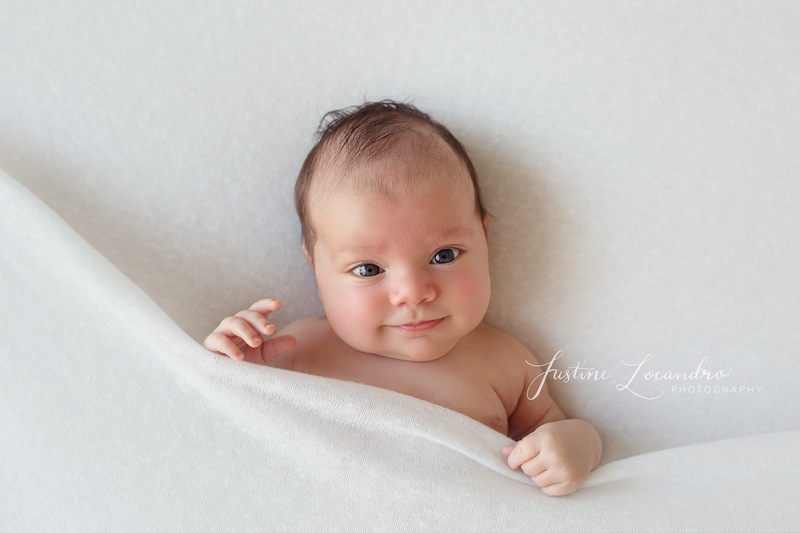 One of the advantages of older newborn sessions is the opportunity to capture babies wide awake. 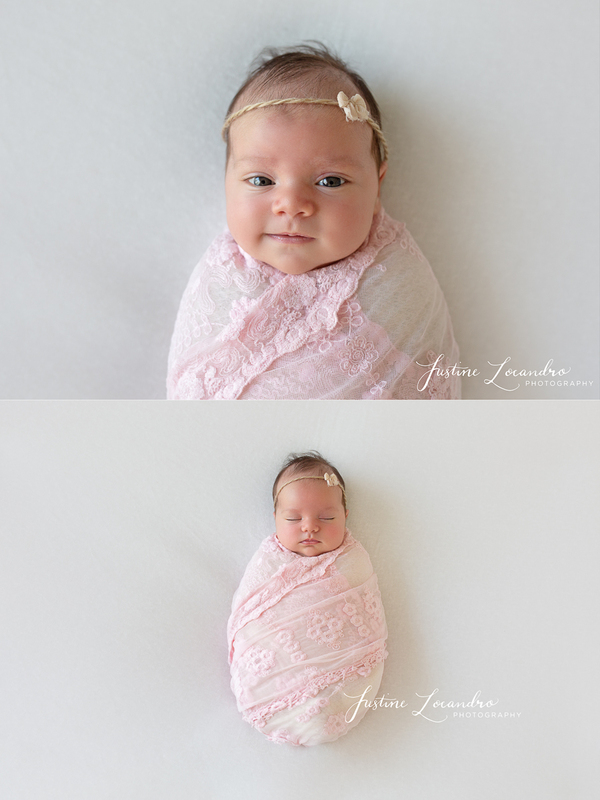 At six weeks of age little Charlotte was content and full of the most beautiful baby smiles. Close up macro shots are always some of my favourites, especially in black and white! 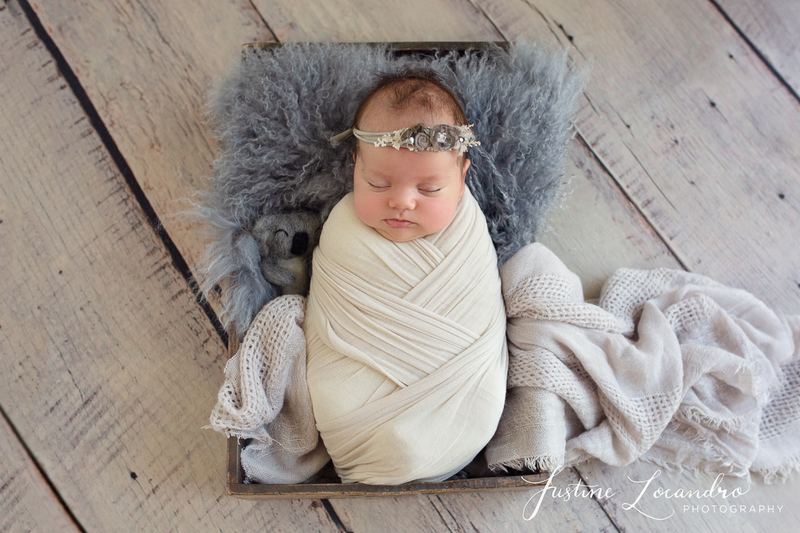 Charlotte’s mum requested shots in grey for her little girl for her newborn session, so pretty and feminine! 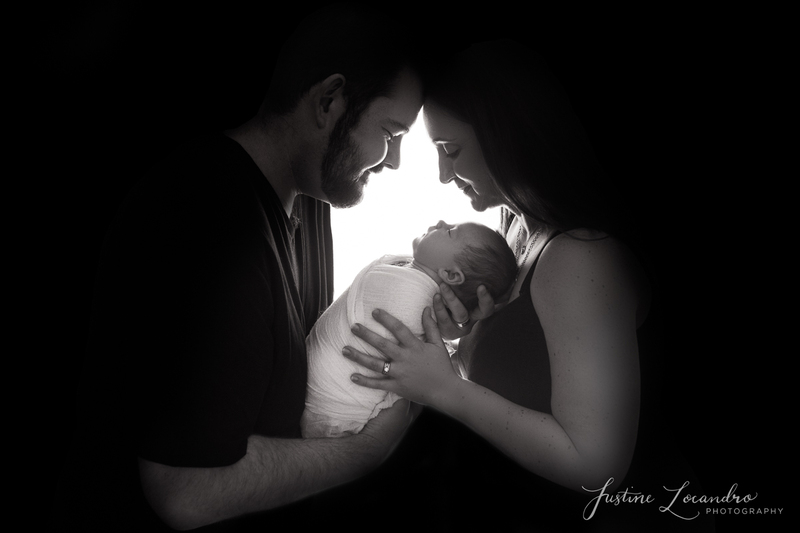 Capturing those first family images of parents with their child is so incredibly special. 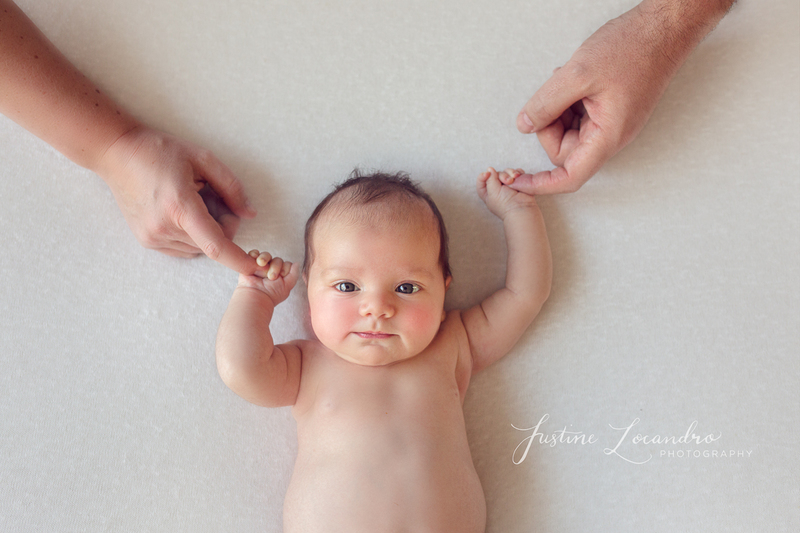 One of the reasons I love being a newborn photographer is the privilege of documenting your family’s journey. This image to me, says everything. I see this as a time in a couple’s life when two became three. The time they became a family. 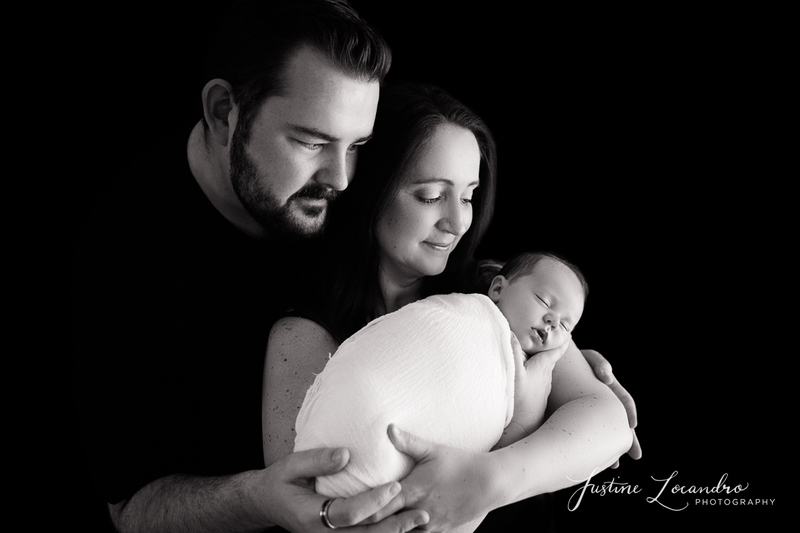 I am a Ballarat based, 100% natural light photographer specialising in newborn and child photography. Offering a fully personalised service, I ensure clients get the images that they love. To achieve this I include a pre-consultation with you to discuss everything from your expectations and flow of the session, through to an in person reveal of your portraits and personal delivery of your finished products. I take immense pride in my work and strive to provide you with tangible, timeless keepsakes. These are the images you are able to share with your children and grandchildren for years and generations to come! 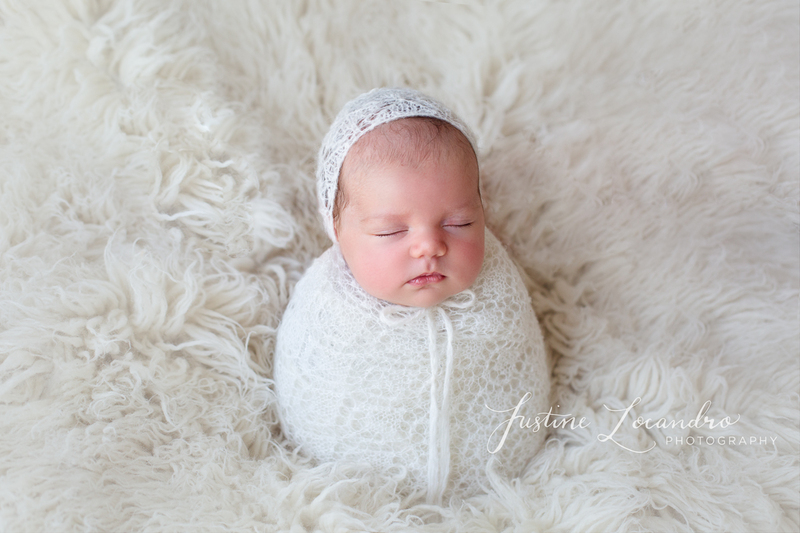 If you would like information about a newborn photography session, please get in touch! You can contact me at https://www.justinelocandro.com/contact-me/ . You can also take a look at my frequently asked questions page https://www.justinelocandro.com/faq/ . Clients are also welcome to meet me at my studio to take a look around and have a chat! To see more examples of my recent work head to my Facebook Page https://www.facebook.com/justinelocandrophotography.